IIT Madras student Daniel Raj David wins in Bangalore, Kanpur graduate Kartik Nanda bags the prize in Delhi. 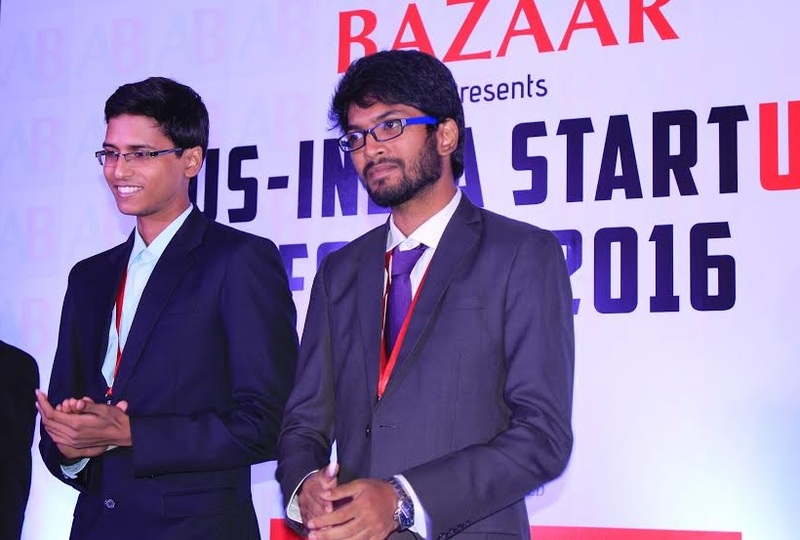 BANGALORE: IITians have swept the inaugural American Bazaar startup awards, winning competitions held in New Delhi and Bangalore as part of the Washington D.C.-based publication’s two-city US-India Startup Forums. IIT Madras mechanical engineering student Daniel Raj David, who co-founded DeTect Technologies, won the competition in Bangalore on September 3. DeTect Technologies, an IIT Madras-incubated company, builds technology to perform intelligent asset management for the industries through sensors and drones. DeTect has a team of 30 IIT students and alumni. Kartik Nanda, who founded Sollink Systems LLP, was earlier declared the winner of the startup competition held in Delhi on September 1, during first leg of the Startup Forum. SolLink helps small residential customers to design, order and manage their solar installation. The New Delhi-based startup, which has an initial market focus on residential customers in the city, is in seed stage. The American Bazaar will announce the winner of the online business plan competition later this week. Both David and Nanda will be flown to the United States, along with the winner of the online contest to pitch before a large group of investors and raise funds. “I am thrilled by the enthusiasm shown by startups and investors,” Asif Ismail, publisher of the American Bazaar. “We will hold similar competitions during the next round of Investor Forums scheduled to be held in Mumbai and Hyderabad in January next year,” he said. Nearly 30 startup founders participated in the elevator pitch contest in the two cities. The judging panel was led by Dr. Satyam Priyadarshy, head of TiE DC and other members included US investors who attended the Startup Forum. David’s company, DeTect, developed a device called GUMPS (Guided Ultrasonic Monitoring of Pipe Systems), a high temperature guided wave ultrasonic (GWU) pipeline inspection system. It monitors the high-temperature fluid pipelines of chemical plants, nuclear power plants and other industries continuously and in real time and notifies the operator when the pipeline is near failure. The two Startup Forums in Delhi and Bangalore featured a number of investors from the United States. In Delhi, the keynote addresses were delivered by Niti Aayog CEO Amitabh Kanth and US-India Business Council President Dr. Mukesh Aghi. In Bangalore, Richard M. Rossow, the Wadhwani Chair at the Center for Strategic and International Studies in Washington, DC, delivered the keynote.